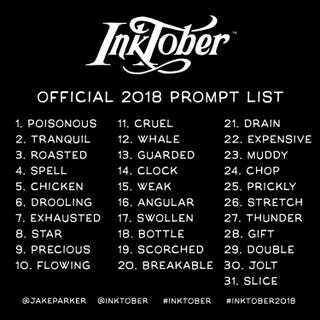 So there’s this thing called “Inktober where for every day of this month, you make an ink drawing based on a prompt given on this website. I’m not much an artist, and I love to doodle. So I’m gonna have fun and share my sketches every day I get with you all! Today’s prompt is Tranquil, and here’s my sketch! Admittedly I had to look up the definition and inspiration, then I let my mind and hands run wild.